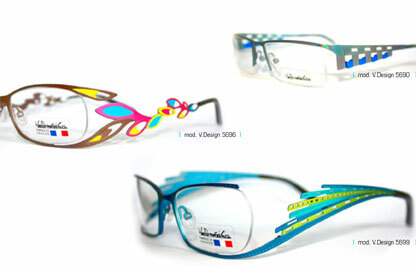 Concept Eyewear has released several new models within the V.Design eyewear collection. The designs are unexpected and fresh, featuring unique details and beautiful colour combinations such as brown with fuchsia and green, or shades of blue with white. All designs are available in four or five colours each. The VDesign 5696 style has multi-dimensional, layered temple details and flowing lines inspired by flower blooms, while the VDesign 5699 model brings a unique and bold temple design with laser-cut details inspired by shooting stars. The VDesign 5690 frame is masculine and architectural, with three-dimensional laser-cut details. Other new releases include 5702, 5697 and 5691 models.